Some children long for playtimes at school. 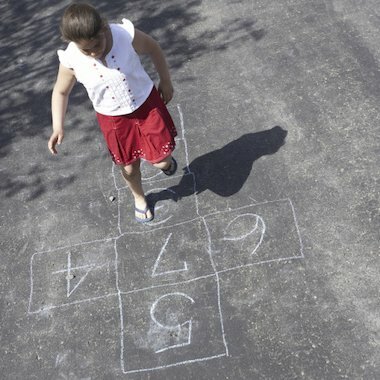 A time to play with their friends, to tear around at will, free from the confines of the classroom. For others, it’s the aspect of school life that they dread most. Often for the youngest children, playgrounds can appear terrifyingly huge and the amount of children vastly overwhelming. Teachers are sometimes so frantically busy that playtimes can be overlooked. While we meticulously plan for so much of our day, any organisation that does occur for playtimes is often unscheduled and based on commotions and disagreements that arise. Yet consider this: primary schoolchildren spend almost one and a half hours, that’s 25 per cent of their school day, on the playground. One big problem of this is that it can have a huge impact on learning. Jenny says: ‘A stressful lunchtime for a child can greatly affect their ability to work and participate in the afternoon.’ If a child has had a hard time outside they’re in what psychologists refer to as a ‘reptilian state’. Perhaps there’s been an argument over a football, or name-calling that went too far. Such everyday occurrences leave children in a state of stress where they can’t focus, apply themselves or learn. So, thinking carefully about playtimes is not something extra for teachers to do, it’s essential for helping children to best access education. While we may plan fastidiously the most remarkable of lessons, it’ll be purposeless if the children aren’t in a fit state to learn.